The Cats in Bowties Project is a portrait series created by photographer Lindsi Jones which features current and former shelter cats wearing handcrafted bowties. Most of the cats featured in the series have been adopted, but many are still looking for forever homes. 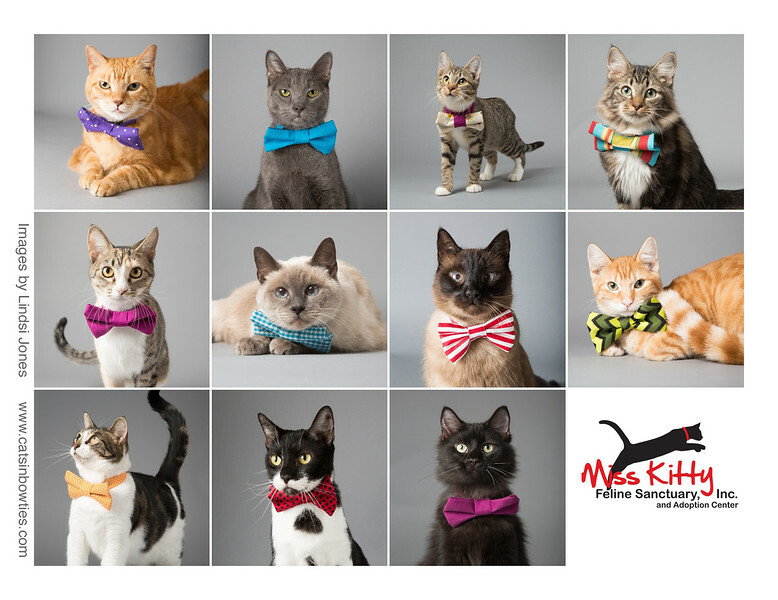 The goal and purpose of the Cats in Bowties series is to raise awareness for felines by showing off the beauty and variety of amazing former and current shelter cats. 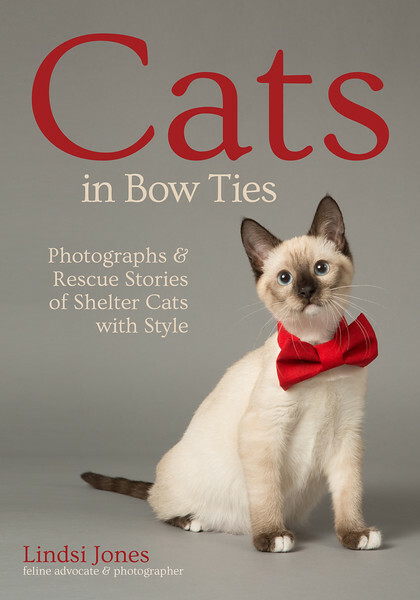 CATS IN BOW TIES: Photographs & Rescue Stories of Shelter Cats with Style now available for pre-order on Amazon! Release Date - November 15th, 2019 After years of work, thousands of fans, and many happy successful adoptions, Cats in Bow Ties is a book!! Animal advocate, photographer, and educator Lindsi Jones shares entertaining portraits and stories of shelter cats seeking forever homes, tales of successful adoptions, and anecdotes about the lives these dapper felines have enriched on their individual journeys from hardship to happiness. Pre-order your copy on Amazon now by clicking here! Stay tuned for updates on book signing events, book release parties, and other Cats in Bow Ties events! 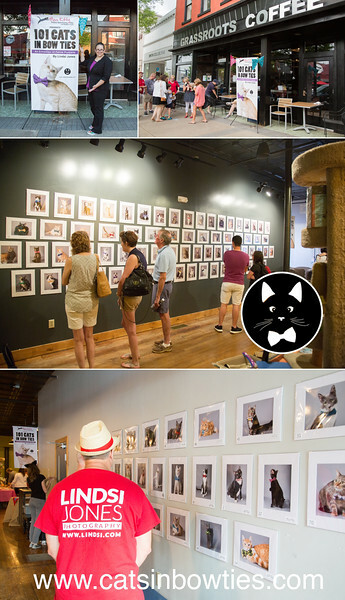 All of the cats currently featured in the Cats in Bowties series are former or current residents of Miss Kitty Feline Sanctuary in Thomasville, Georgia. One of the greatest things about love is sharing it. I have been fortunate in life to have hundreds of happy couples and families share love with me and I in turn share that love with others through service. I share love through helping animals in need. Each time Lindsi Jones Photography covers a wedding a donation is made to the Miss Kitty Feline Sanctuary and South Georgia Low Cost Spay and Neuter Clinic located in Thomasville, Georgia. This amazing organization changes the lives of dogs, cats, and humans in South Georgia and North Florida by offering affordable spay and neuter services and by sheltering and fostering 100s of cats each year. As a lover of cats, I wanted to do more for the feline community, so I started the Cats in Bowties Project. This project has involved 100s of hours of work a devotion by many people to whom I will be enterally grateful. From crafting bowties, arranging the shelter schedule, and handling cats many people have been a part of the series. 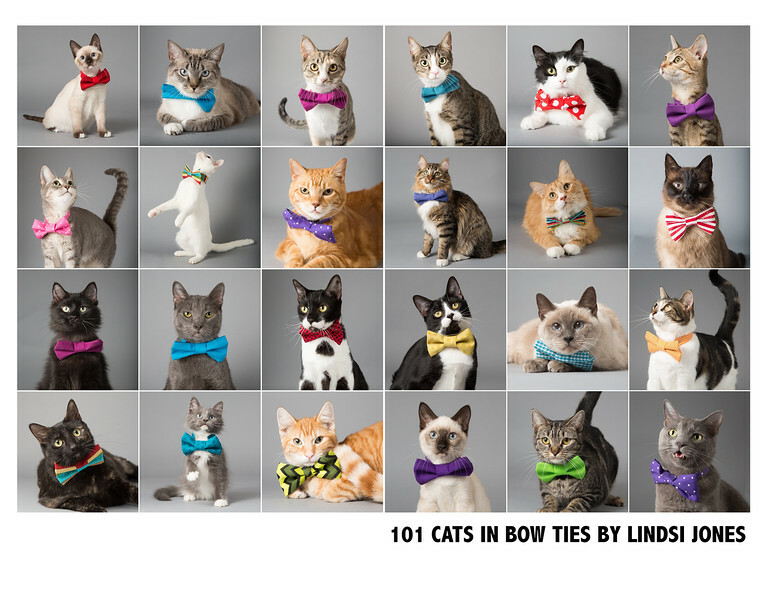 In 2015 I photographed 101 cats and we created an adoption event and art show “101 Cats in Bowties – An exhibition of feline portraits” which featured portraits of each cat with their name and adoption status. Many of the cats from the series went on the be adopted. The series has been shared around the world and the world wide web through multiple online articles, magazines, and Instagram. . I am proud to share with you this amazing behind the scenes film made by Damian Grey of Revo Media. 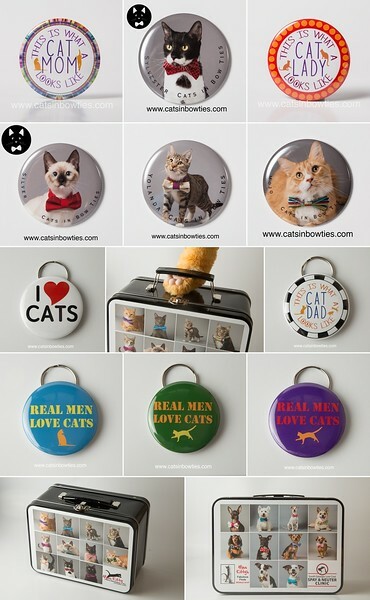 Support the Cats in Bowties series by purchasing some of our handmade collectables! Handmade magnets, keychains and more! The Cats in Bowties series has gathered much media attention. We have been featured on blogs, in magazines, and had television news coverage. Check out the following links to see our features. Keep in touch with the Cats in Bowties Series and learn more about Miss Kitty Feline Sanctuary by following us on Facebook and Instagram. Updates on adoptable cats, and events are posted on our social media first!